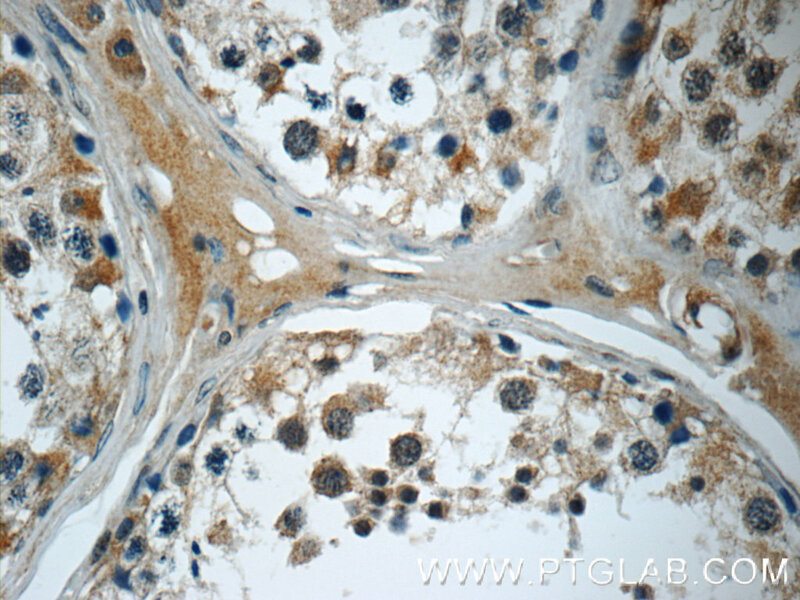 IP Result of anti-SMAD4 (IP:10231-1-AP, 4ug; Detection:10231-1-AP 1:600) with mouse liver tissue lysate 4000ug. Mammalian homologs of the Drosophila Mad gene include Smad1, Smad2, Smad3, Smad4 (DPC4), Smad5, Smad6, Smad7 and Smad8. Smad1 and Smad5 are effectors of BMP2 and BMP4 function while Smad2 and Smad3 are involved in TGF and activin-mediated growth modulation. 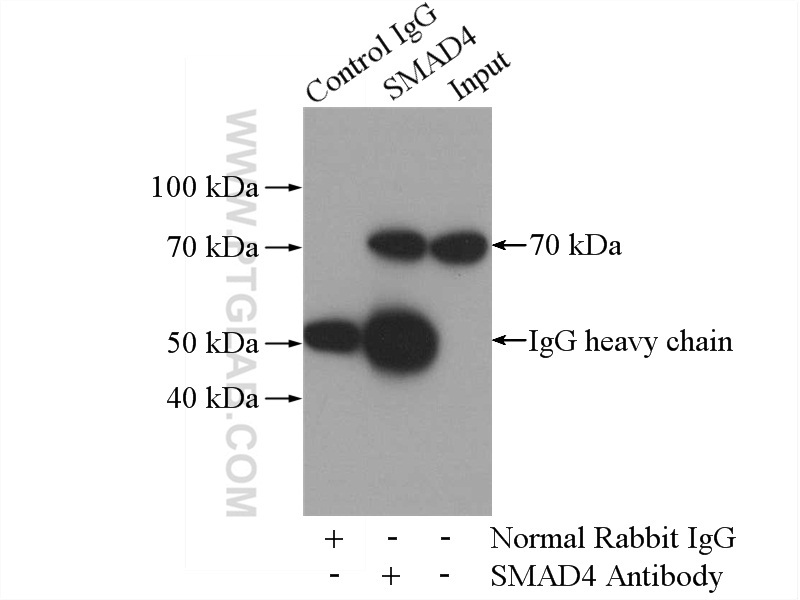 Smad4 has been shown to mediate all of the above activities through interaction with various Smad family members . Smad6 and Smad7 regulate the response to activin/ TGF signaling by interfering with TGF -mediated phosphorylation of other Smad family members. 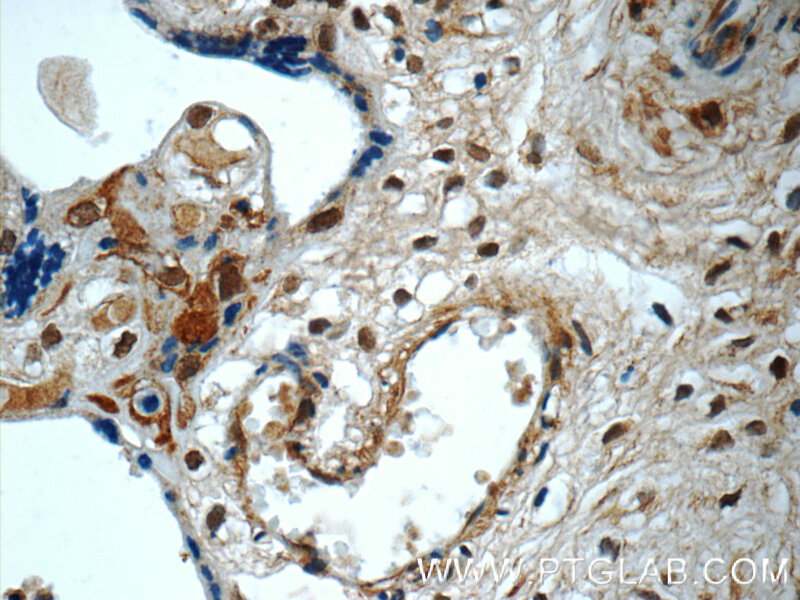 This antibody is a rabbit polyclonal antibody raised against an internal region of human SMAD4. Aberrant elevated microRNA-146a in dendritic cells (DC) induced by human pancreatic cancer cell line BxPC-3-conditioned medium inhibits DC maturation and activation. 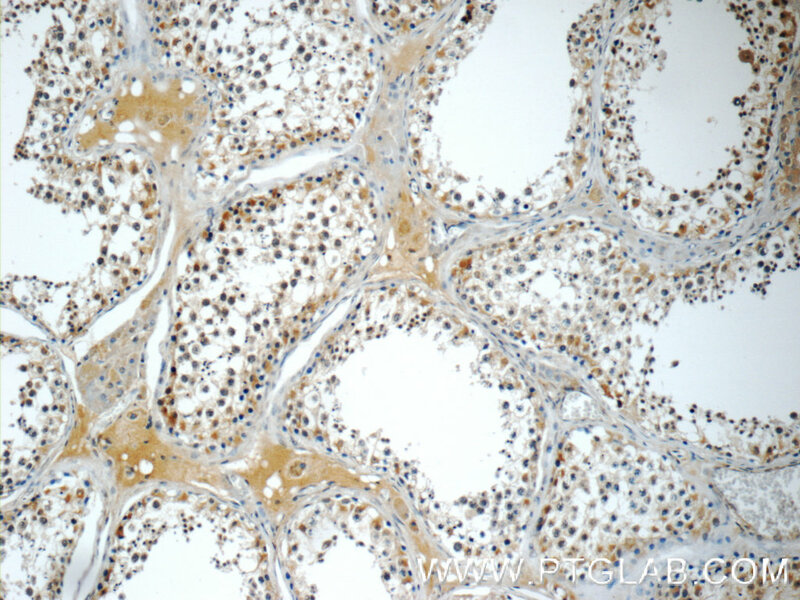 Let‑7a suppresses cell proliferation via the TGF‑β/SMAD signaling pathway in cervical cancer. Lnc-ATB contributes to gastric cancer growth through a MiR-141-3p/TGFβ2 feedback loop. 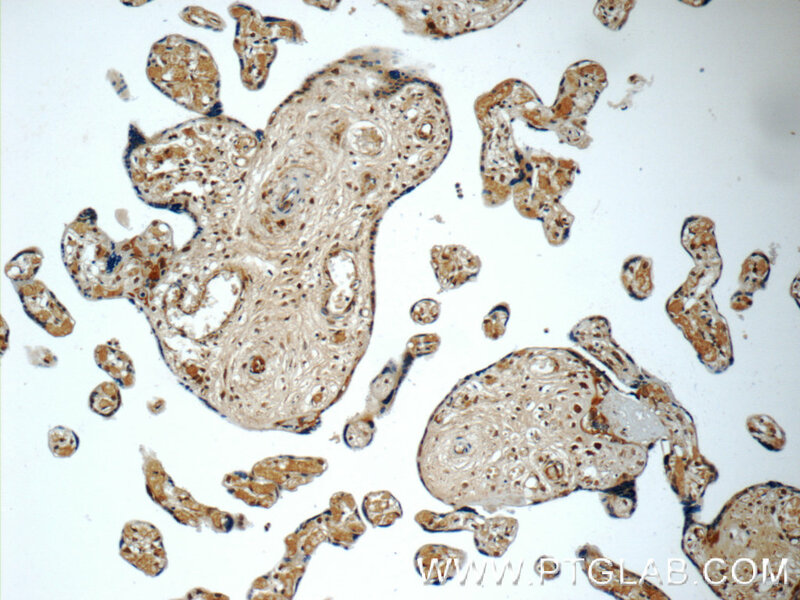 TGFβ1 Promotes Gemcitabine Resistance through Regulating the LncRNA-LET/NF90/miR-145 Signaling Axis in Bladder Cancer.